We’ve just entered 2016! Can you believe it? Time’s flying and things are happening so quickly that it’s hard to keep track of even the important stuff. That’s particularly true if you talk about search engine optimization (SEO). 2015 was another year in which SEO continued to evolve and grow. Google released several new algorithm updates, and its focus towards user experience further intensified. In 2016, you can expect more changes and updates from Google. However, if you have some of the key areas of your website and blog aligned properly with Google’s guidelines, you don’t need to worry too much about its new algorithm updates. Here are 5 critical things that you need to have in place for a strong SEO in 2016. Website speed is one of the primary factors that Google uses to evaluate the performance of a website. If your website loads slowly and makes the user wait, Google will give preference to faster sites in search results over your site. Research suggests that an average internet user waits for 3 seconds before leaving a website if loads slowly. Google specifically looks for a factor known as TTFB (time to first byte) while evaluating your site’s load speed. It is the time it takes for the first byte of your site to load. The faster it’s loaded, the better. To improve your site’s TTFB, first of all, evaluate your current site speed by using Google’s Page Speed test. This tool not only tells you the speed of your site but also recommends ways you can improve it. You can further improve your site speed by using a content delivery network (CDN). But what is a CDN and how does it work? In short, a CDN stores the most frequently used static HTML files and serves them from the geographic locations nearest to your website visitors. 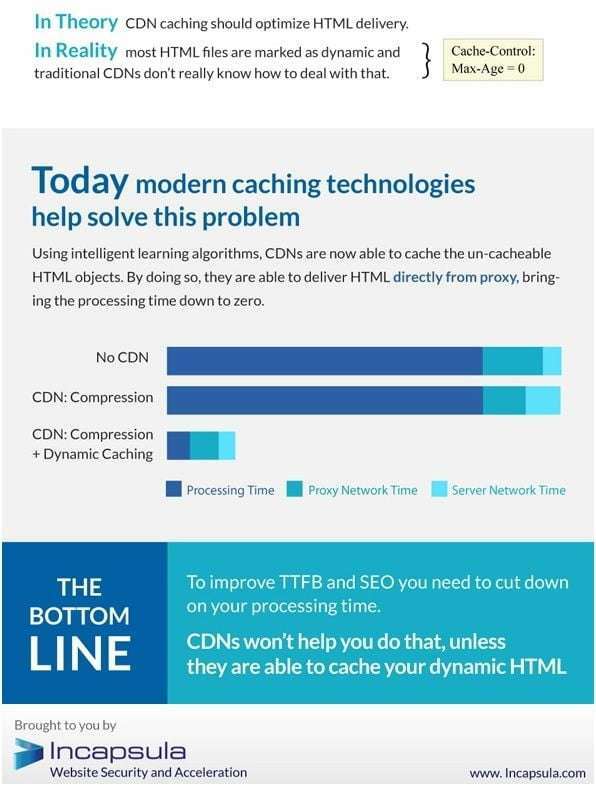 According to Incapsula, a leading CDN, website security and site performance optimization company, most CDNs skip dynamic HTML files during caching, which doesn’t completely optimize your site speed. As a result, there’s no improvement in your SEO performance either. Other than using a CDN, make sure all your images are optimized and there not too many external scripts installed on your site. More than 50% of all Google traffic comes from mobile devices. Which is why any website that is not optimized for mobile traffic is considered outdated by Google. 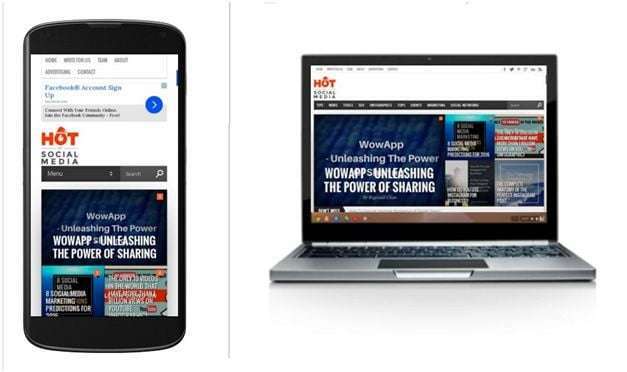 Most experts believe that in 2016 Google will take major steps towards the implementation of mobile friendly design by introducing strict algorithms and penalizing sites that do not have a mobile interface. It uses a responsive website design that adjusts dimensions according to the user’s device. You can find it if your site is mobile friendly, by using Google’s Mobile Friendly test. The connection between social media and SEO has always been a hot topic for internet marketers. But there are several reasons to believe that Google does consider your social profiles while evaluating the credibility of your brand. 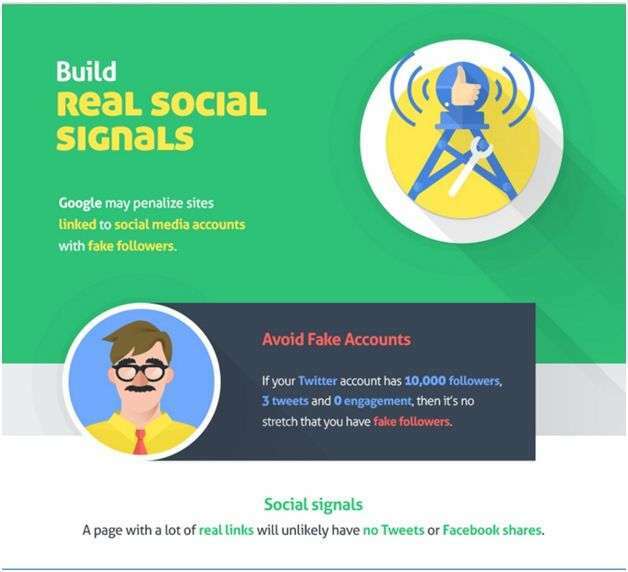 For example, if your Facebook or Twitter profiles have thousands of fake followers, Google will count this as a negative signal for your brand image. Similarly, if you’re inflating social share counts on your site, Google will look at your site suspiciously. That is why it’s important that your social media followers are genuinely engaged with you. Instead of purchasing a million fake followers who don’t interact with you, try attracting a few thousand who respond to your Tweets, and engage with your updates. Brand your social media profiles in line with your website and brand image. Link back to your site from your social media profiles and use the same color schemes as your website. The more engaged your social profiles, the more genuine your brand appears to Google. See also: How Often Should You Change Your Social Media Profile Pictures? In the last few years, Google has come down hard on any sites with thin, shallow or poor quality content which is created solely for the purpose of boosting search rankings. In 2016, Google will continue to reward websites with useful content, and increase their rankings on relevant search queries. 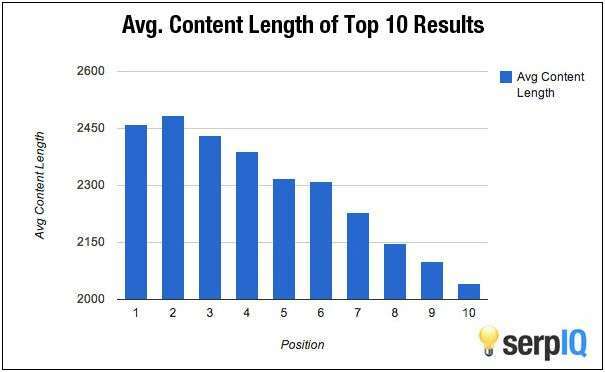 In fact, research shows that the longer and more in-depth your content is, the likelier it is to feature in the top search results. This is what this SerpIQ study suggests. Google clearly prefers deep and long form content since it answers the user’s questions more comprehensively. 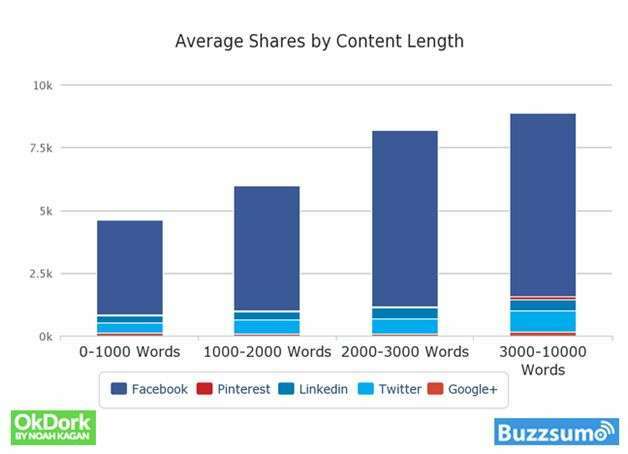 Surprisingly longer content also tends to generate more social shares as compared to shorter content. The more social shares a particular piece of content has, Google considers it as a vote of confidence from readers. Which ultimately contributes to your SEO strength. Therefore longer, more in-depth and well-researched content is only going to become more important for your business in the coming years. Getting high-quality backlinks is one of the primary objectives of most SEO campaigns. The more backlinks a particular piece of content has, from other reputable sites, the better chance it has of ranking higher in Google search results. However, the placement of a backlink and its anchor text have a direct impact on how Google views it. Google prefers contextual backlinks with natural anchors. Your backlinks should fall naturally within the body of the content – not in the sidebar, not in the footer or the header. Similarly, Google prefers natural anchor text as compared to keyword based and over-optimized anchors. For example, instead of using “social media plugins” as your anchor text, use a natural anchor phrase like “there are several social media plugins” to link to your content. Use anchor phrases instead of anchor keywords. Google wants your backlinks to appear naturally in the content. Your links should be relevant to the content and should add value to the user experience. 2016 is going to be another year full of exciting new developments on the internet marketing, social media, and SEO horizons. By following Google’s recommended practices and maintaining high-performance standards across all aspects of your website, you can move ahead in search rankings and further strengthen your SEO profile. Jawad Khan is a content marketing consultant and a professional freelance blogger. Follow him on his blog Writing My Destiny, Twitter and Google+.